There’s No Place Like Home…Cali, That is! 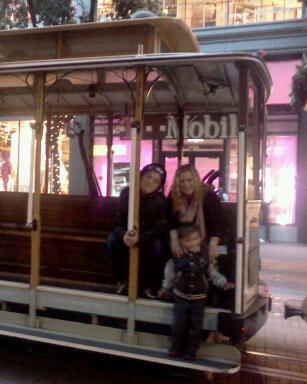 For the Thanksgiving Holiday, my son and I took a trip to San Francisco. This trip was three-fold for us: visit the J and the in-laws, visit my sister and nephew, and to refresh and see my bestfriends. Although I could not really afford this trip, I felt it was a must. J had told me a few months ago that his mother was diagnosed with breast cancer. He also said she was lucky, since they caught it early. There were only treating her with a laser and no invasive surgery was necessary. No matter what issues J and I have, I had none with his mother. I wanted to make sure, in the event of something awful happening, that M saw his other grandma, or abuela. We flew out early the day before and San Francisco greeted us with some awesome weather. Thankfully, J met us at the airport to help with the trudge into the city with our stuff. My sister and her son had landed early that morning and we met them at our hotel. We dropped our stuff and headed out to begin our adventure. My son was still getting over a bad cold, so wanted to take it easy on him. I had asked J to have a stroller ready for us….and this is the only thing I asked of him for the trip. And yes, you guessed it, NO STROLLER. The poor kid was sick and happily trailed after us and was happy to be out and about. His cough kept getting worse though. By mid-day, I was pretty furious. We made it to the beach in the Marina where he played in the sand…which is his most favorite stuff in the world! As he keeps talking and digging a deeper hole for himself, my sister and I came to the conclusion that he was lying about his mother having cancer. My sister loves this guy and her son does too, but she could see through the lies that came spewing out of his mouth. My sister doesn’t have a bad word to say about anyone, including J so this expression of her doubt and loathing really surprised me. I tried to put this aside and try to enjoy the trip since it benefited me in many ways. I was happy to see my sister and nephew and glad to get to spend this time with them, however short. I also got to spend some time with some good friends, which was also priceless and short. It was a much needed recharge, but not quite long enough. And yet, it was too long. I miss it so much. I miss my home. California is my home and I need to find my way back there, some way, some how. Since I have been in Georgia, I have made ZERO friends. I am not a person that has a difficult time making friends, but here…HERE! I cannot to save my life. Family can only get you so far. Friends take you the rest of the way. I miss having friends close by. I miss calling or receiving a call from them when I am still awake. The damn time difference is hell on a girl…’cause this girl gots to be in bed early…mostly because I can’t stay awake. So, despite the hiccups in our trip, I subdued my anger enough to enjoy the time we had there. I was terribly sad to leave and M told me he wanted to move there. If and when I do move back to Cali, it will most likely be back to Orange County. San Francisco is hard on a girl, ya know. 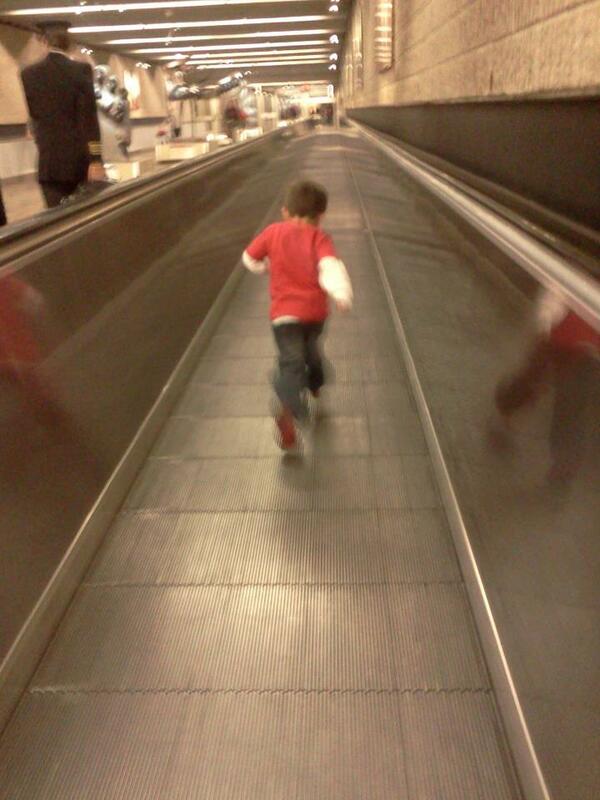 My kid needs somewhere to play and SF does not have that…well, right outside the door at least. As soon as that economy improves, I’m back there! I will not look back and this move will be the final! 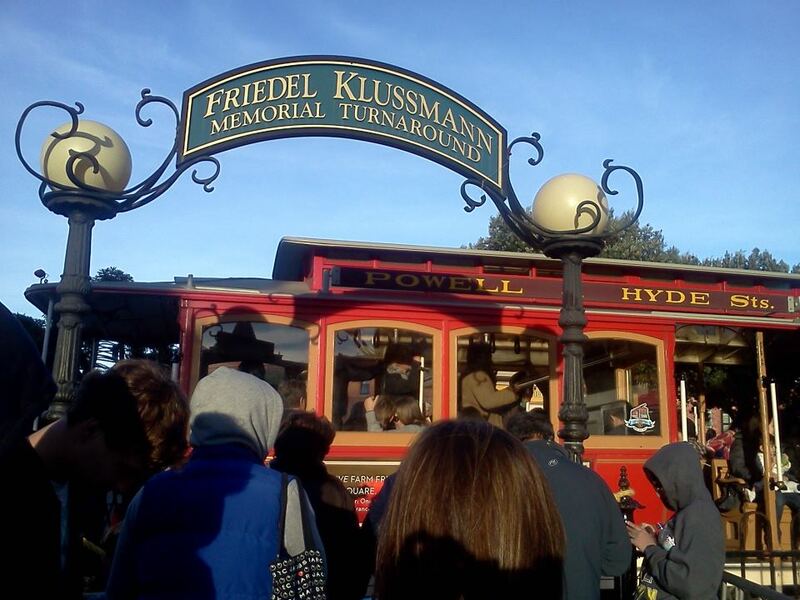 Oh yes, we rode the cable car…first touristy thing I have ever done and M LOVED IT! This entry was posted in Parenting, Recession/Unemployed and tagged anxiety, divorce, dreams, fighting, Georgia, happiness, hope, in-laws, marriage, Mommy, mother, moving, parenting, recession, relationships, san francisco, separation, stress. Bookmark the permalink.